Denim American Bistro is a new restaurant in Cherry Hill. 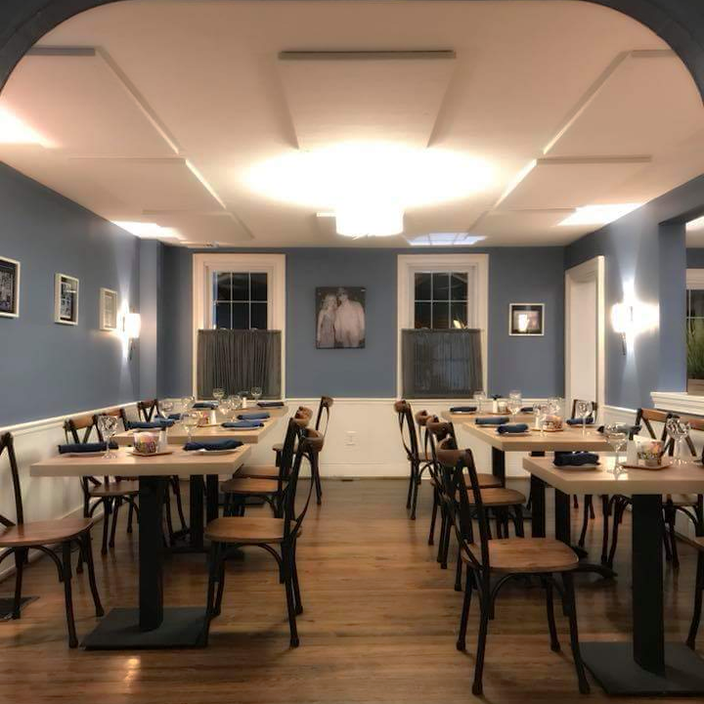 A new restaurant has opened in Cherry Hill in the former site of The Farmhouse, which closed after roughly a year in business. 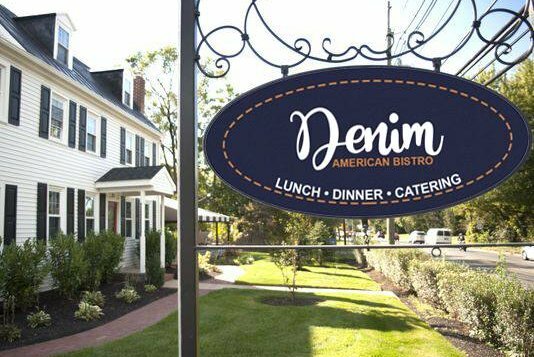 The building, a 1859 Colonial house, is now home to Denim American Bistro. To match the name, the walls are a shade of jeans-blue and hanging up is a portrait of Britney Spears and Justin Timberlake in those iconic denim-on-denim outfits they wore to the 2001 American Music Awards. If you look closely, you can see the portrait of Britney Spears and Justin Timberlake. Other celebrity portraits are scattered throughout the space, too, but Britney and Justin are definitely the highlight. According to Eater, the restaurant also has pieces from Ian Berry's denim series on the walls. The denim theme also extends to the servers, who wear jeans and denim aprons. As for the menu, it's much less blue. The restaurant serves lobster risotto, butternut squash gnocchi, crispy Brussels sprouts, a Kobe beef burger and other modern American dishes. There's also a separate gluten-free menu and one for vegetarians, as well as a prix-fixe dinner for $40. While Denim is BYOB, if you forget to bring a drink, you can purchase a bottle of wine from White Horse Winery at the restaurant. Tonight is the official grand opening, which will kick off at 5:30 p.m. Denim is at 312 Kresson Road.